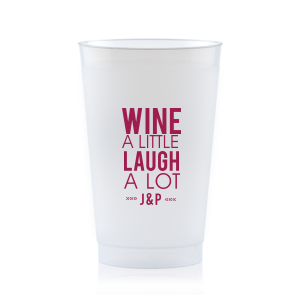 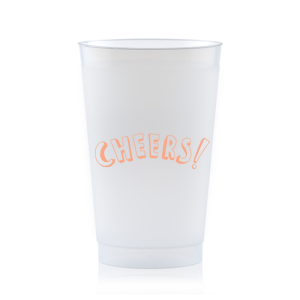 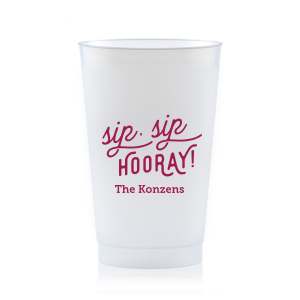 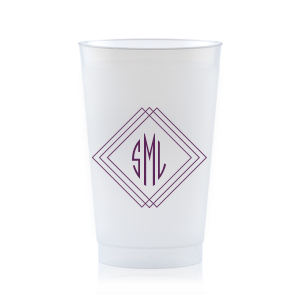 Serve your party drinks in personalized style with customized 24 oz frost flex cups from For Your Party. 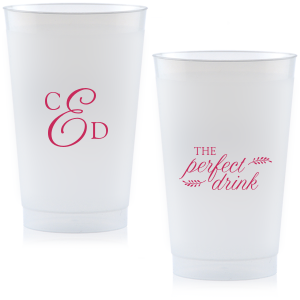 Pass generous servings of soda, punch or beer in your custom designed 24 oz frosted cups. 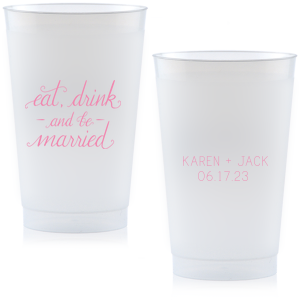 Easily color coordinate your personalized 24 oz frosted plastic cups with your party theme by choosing from the more than 50 screen printing color options. 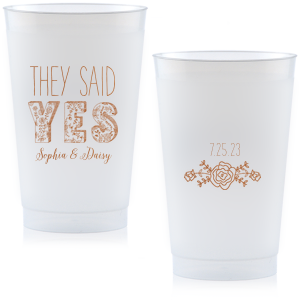 Browse our design idea galleries for the event type you are planning and soon your personalized 24 oz frosted plastic cups will be a reality! 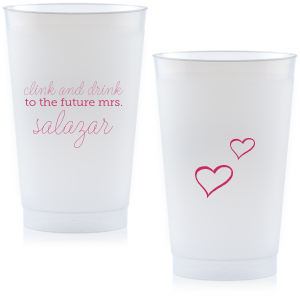 Hosting a bachelorette party? 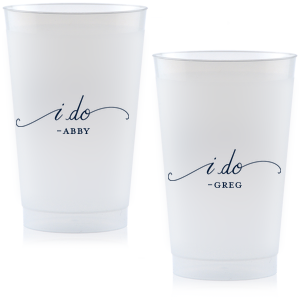 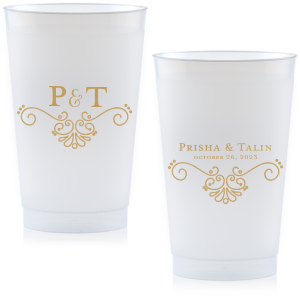 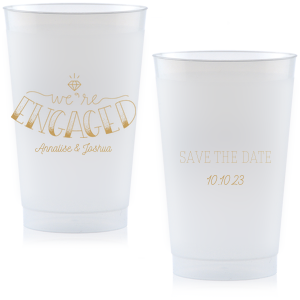 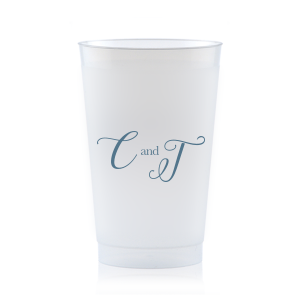 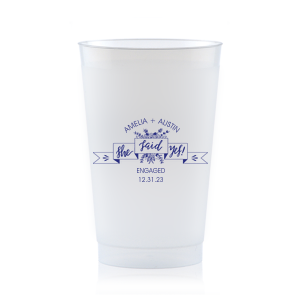 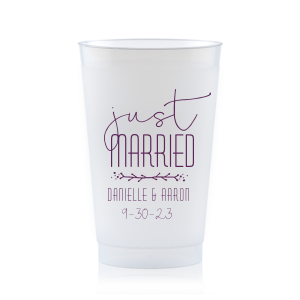 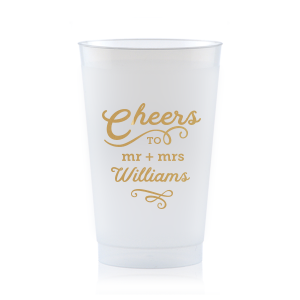 Check out our “bride tribe” designs for your personalized 24 oz frost flex cups. 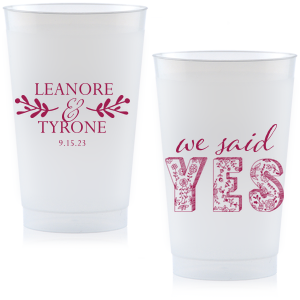 Taking off for an exotic destination wedding? 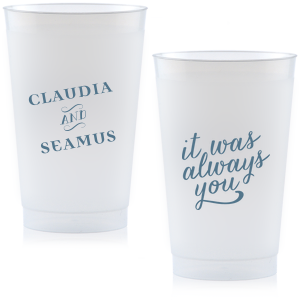 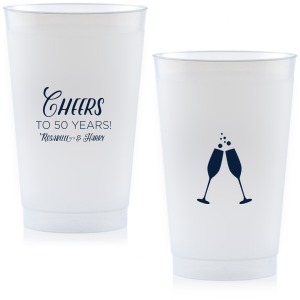 Don’t forget your customized 24 oz frosted plastic cups with a “salty kisses and sandy toes” design to highlight your wedding location. 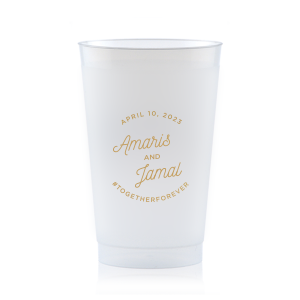 With 1300+ graphics, your personalization options are nearly endless as you design your perfect customized 24 oz frost flex plastic cups for any occasion! Baby shower, graduation parties retirement celebrations all have designs to help make your customized 24 oz frosted cups perfectly personalized! 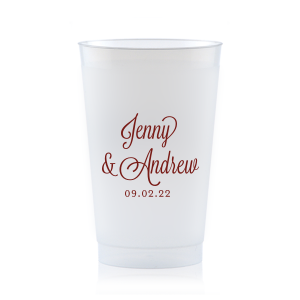 You can even upload your own design for ultimately personalized 24 oz frosted cups. 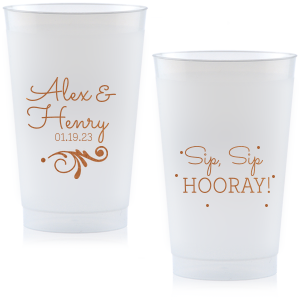 Let your creative juices flow, and start creating your personalized 24 oz frosted cups today!